A landscape should always remain beautiful and stunning. However, repair and restoration jobs are sometimes needed because of the normal wear and tear, damaged and defective installations, and other environmental factors. When these happen, you need a reliable landscape maintenance company like us at Brick by Brick Pavers and Landscaping. Our company has been serving the Brick area for years and we already know the common landscape problems of most property owners in the area. We also have a team of landscape professionals who can provide you with quality work. They are all trained and experienced in handling any landscape maintenance job, from plant care, restoration of paved outdoor areas, lighting replacement, and everything else that would bring the life back to your outdoor living area. Plant Care – Upon installation, plants in a landscape look great. However, they can’t take care of themselves. They require care and maintenance in order for them to flourish and grow really well. 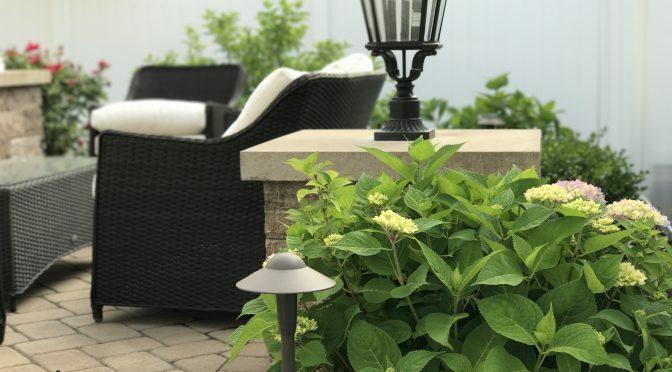 Our landscape maintenance services include trimming your plants and trees, pruning and mulching, as well as fertilization to maintain their vigor and beauty. Paved Surface Cleaning, Sealing, and Repair – Driveways, walkways, and other paved surfaces in your outdoor area could get grime, moss, or even stains from constant usage. Tiled surfaces may also get broken and chipped off. Aside from its unpleasant look, it can also be dangerous. Having your paved surfaces cleaned, sealed, and even restored back to its original state is now fast and easy with our customized landscape maintenance services. Outdoor Lighting Replacement – It’s easy to change a light bulb but it can be quite dangerous especially for outdoor lighting. These lights have been exposed to outdoor elements and the risks are higher so it is important to have an expert electrician fix it or replace any part that needs to be changed or reinstalled. Wherever you are in New Jersey, Brick by Brick Pavers and Landscaping can provide you with any type of landscape maintenance service. The tools that we use and the products that we recommend are all quality tested so every client is assured of a reliable maintenance work. All you have to do is pick up your phone and give us a call.